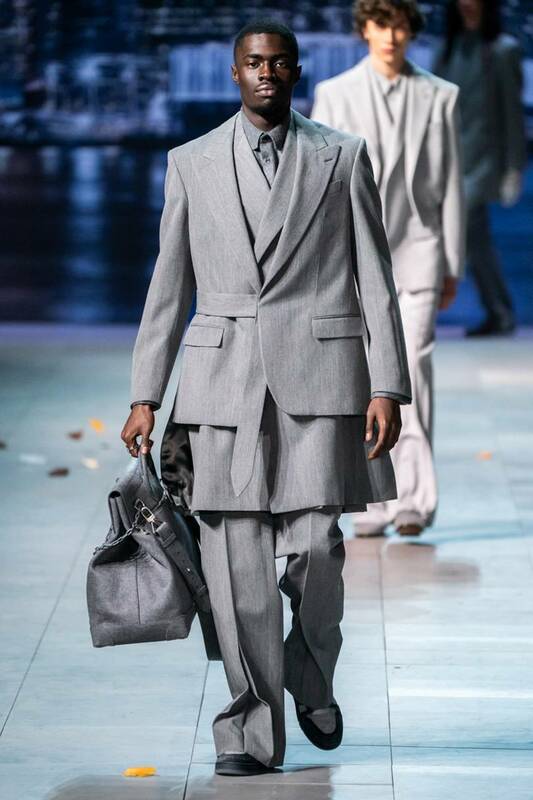 2018 has been all about what Virgil Abloh could bring to the table for Louis Vuitton and 2019 shows that he means business. 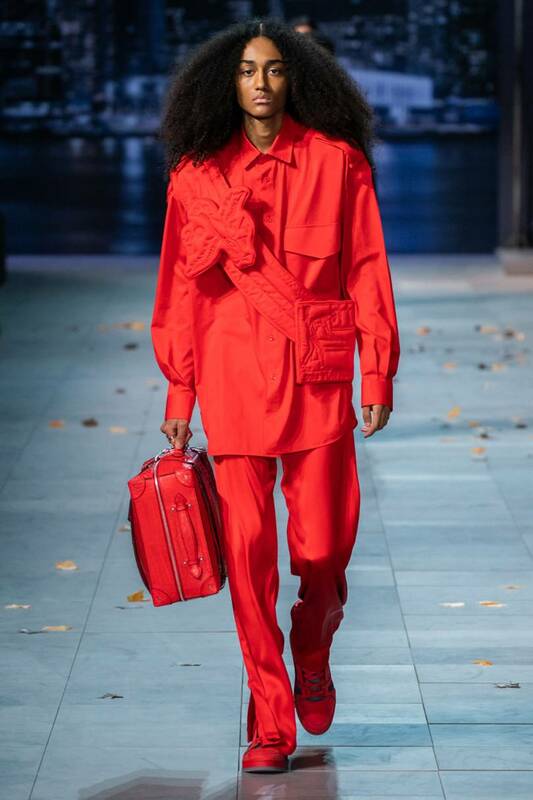 After his debut showing back in June during the Spring/Summer season, Abloh has set the bar for himself in more ways than one. 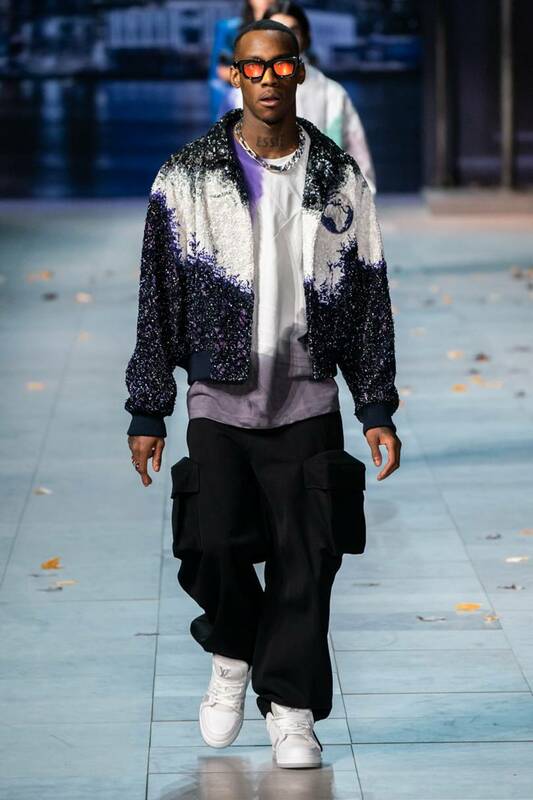 The Off-White head honcho, however, is not one to back down as he has definitely lived up to the hype. 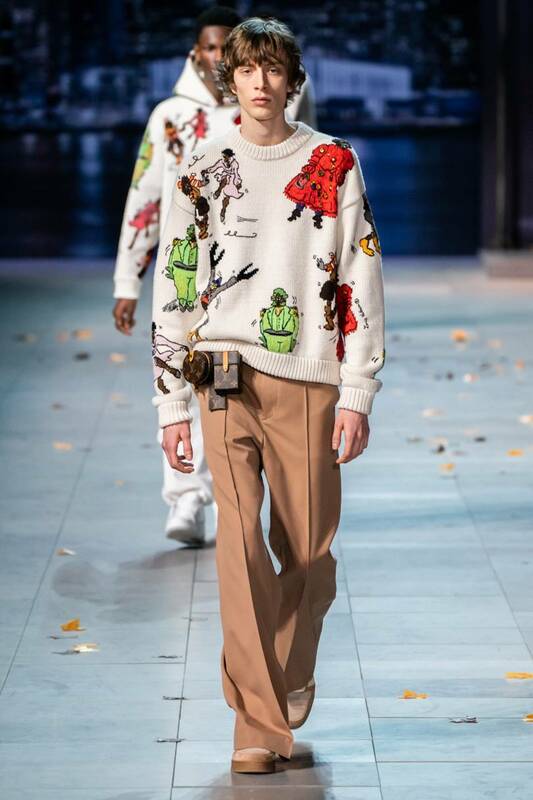 Abloh pulled inspiration from the king of pop, Michael Jackson for this latest collection. The backdrop for the catwalk, located at Tuileries Garden was ideally located, in-between the Louvre and the Place de la Concorde. The setting featured copious amounts of replications of the Alphabet City backdrop of Jackson’s ‘Billy Jean’ music video. To showcase how much of an inspiration Jackson was to Abloh, an invitation was sent out to each attendee in the form of a single white glove, an iconic accessory of the King of Pop. 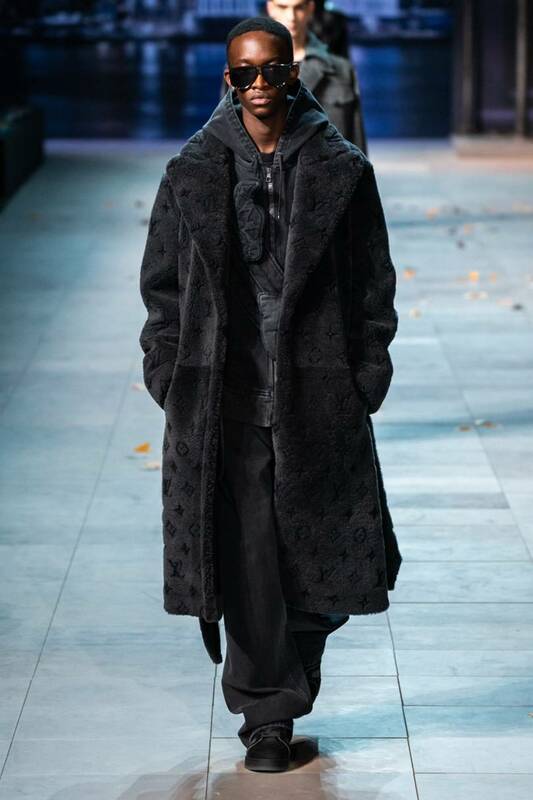 The collection featured heavy usage of single-tone colours with the pavement setting the tone. This echoed the Autumn/Fall look, featuring a plethora of grey and tan with the occasional pop of colour in shades of purple and red — colours most associated with the king of pop. 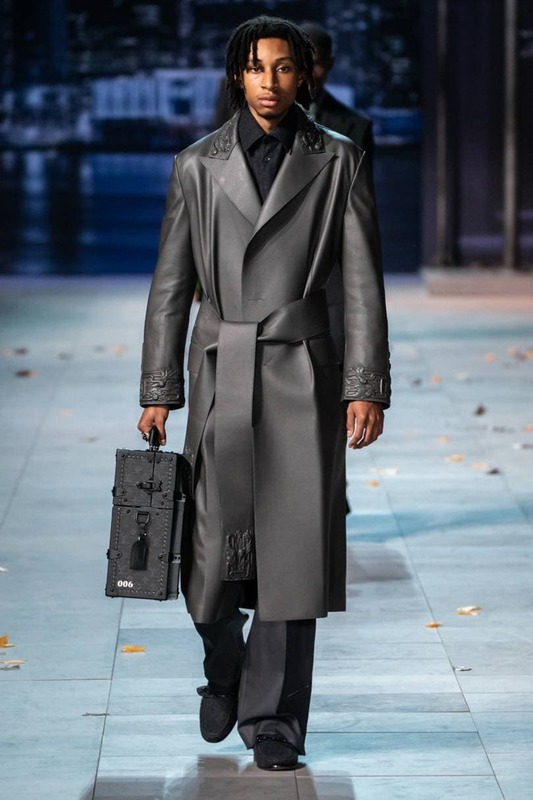 Jackets, trench coats, and multiple layers were also the constant theme for the show as well as loafers, which replaced sneakers for which Abloh is famous for. 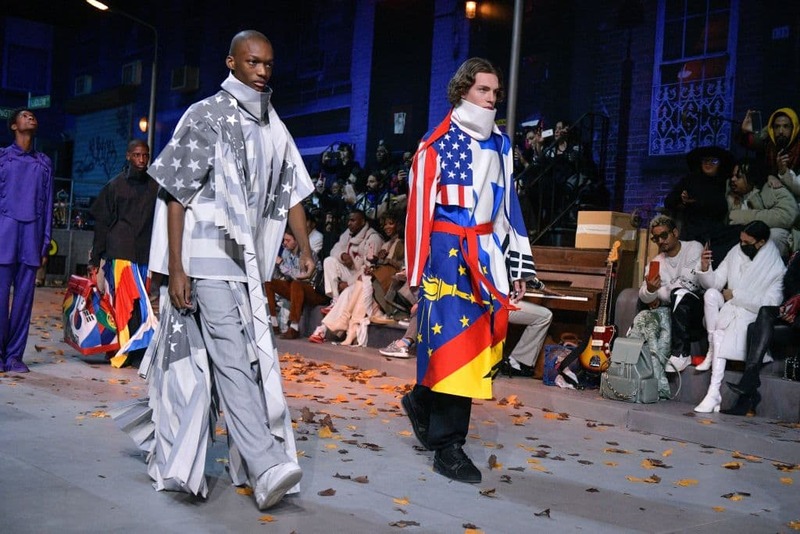 Above all else, Abloh and Louis Vuitton also placed emphasis on Jackson’s humanitarian work through leather outfits with a patchwork of flags, which represented all the nationalities of his studio team. 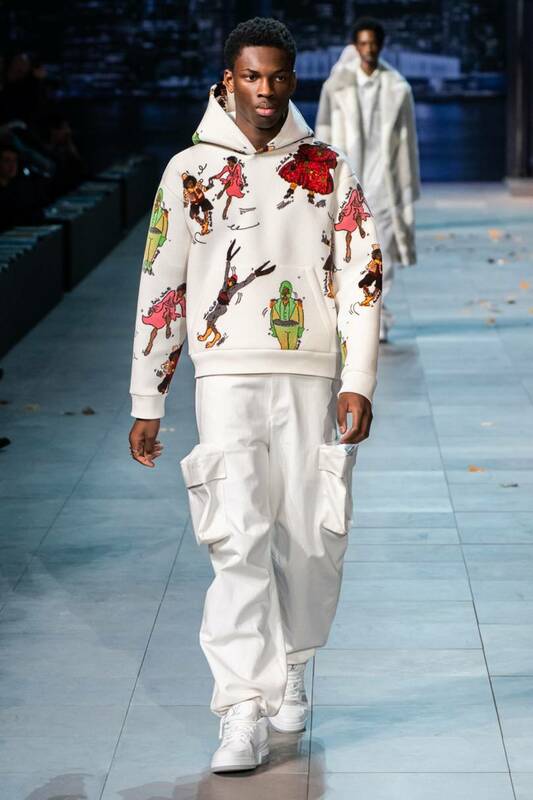 Of course, subtle hints to his streetwear roots were plastered all across the showroom as well as the pieces. Peep down below for some of our favourite picks. 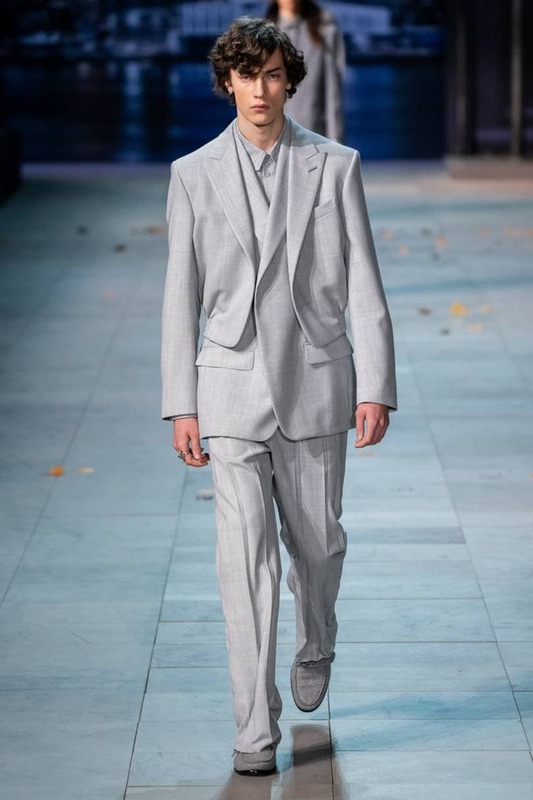 The grey colour palette features heavily through the use of double jackets. A more casual double-jacket look. 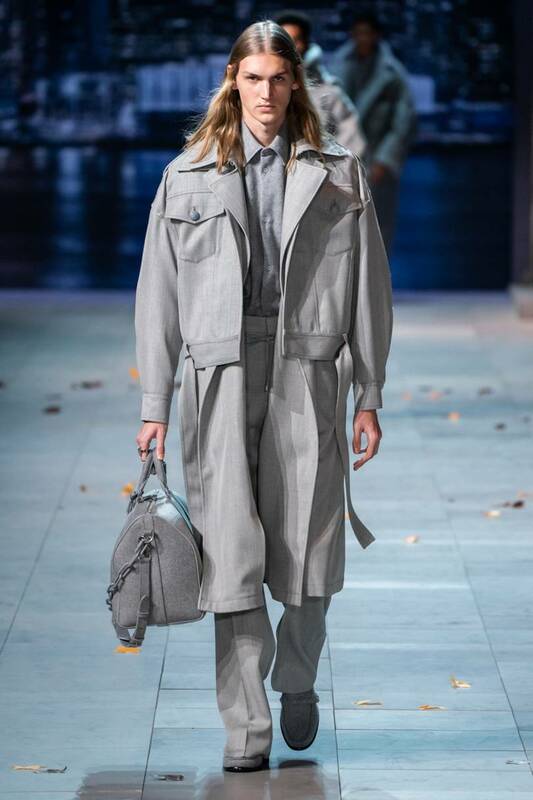 This look is made for travelling, pairing a trench coat with the iconic LV carryall. Keeping it casual with a two-tone fit. The symbolic LV monogram is out on full display while being blacked out in the process. 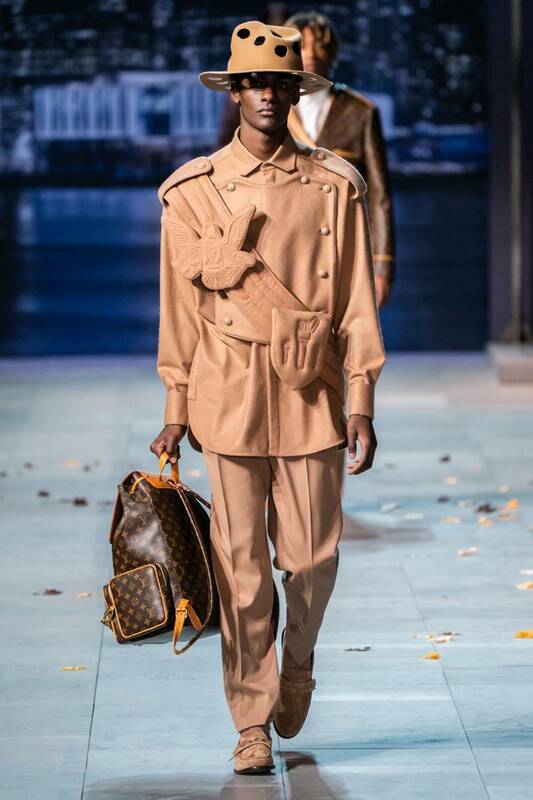 Another iconic LV accessory -- the LV trunk with a matching trench coat. 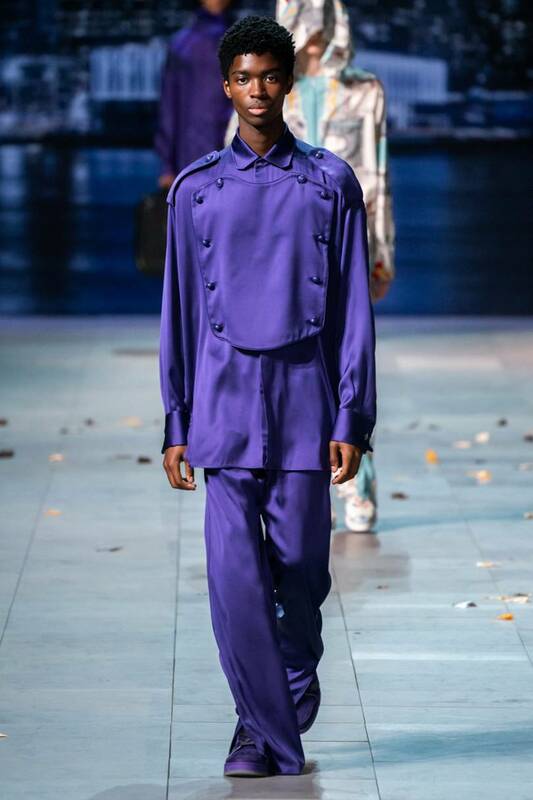 Purple was another main colour staple on the runway, a nod towards MJ. 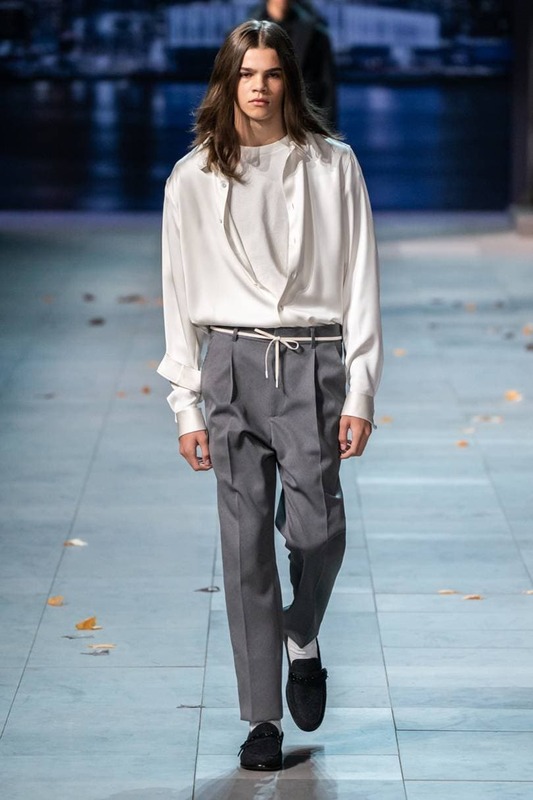 Streetwear-inspired looks also made an appearnce. 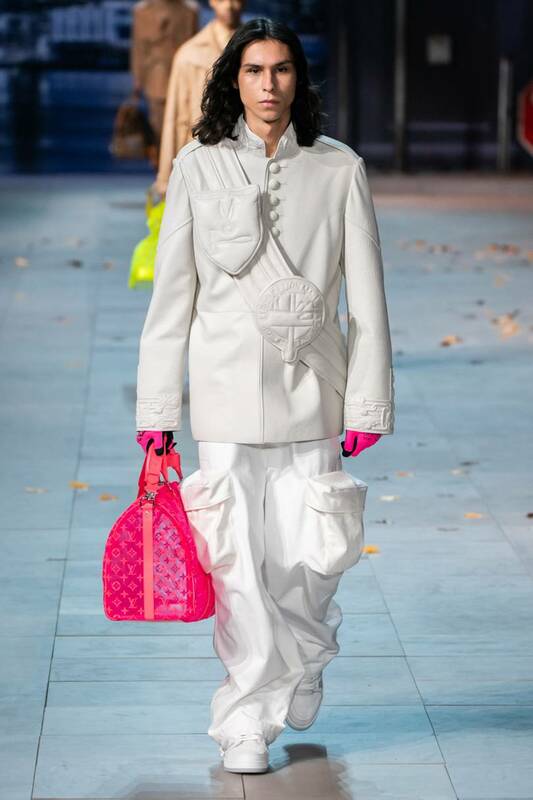 Perfect colour contrast with an off-white look to go with the fluorescent pink gloves and bag. Tan was another popular colour, featuring an enlarged shoulder bag with pins and the LV backpack to boot. 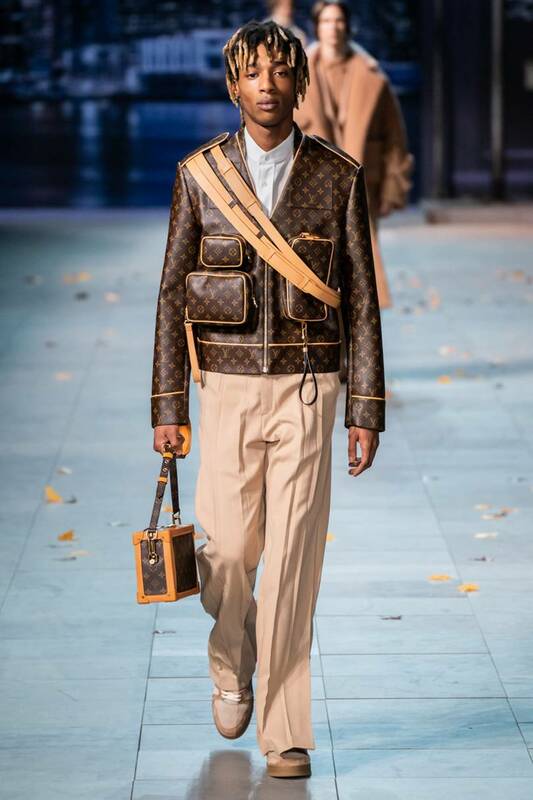 The look of the night -- an all-out LV monogram jacket equipped with pouches and even the LV trunk clutch. It's the little things that matter -- the miniature LV trunk pouches on the waist. Another streetwear-inspired look, this time with a white, graphic-heavy hoodie. 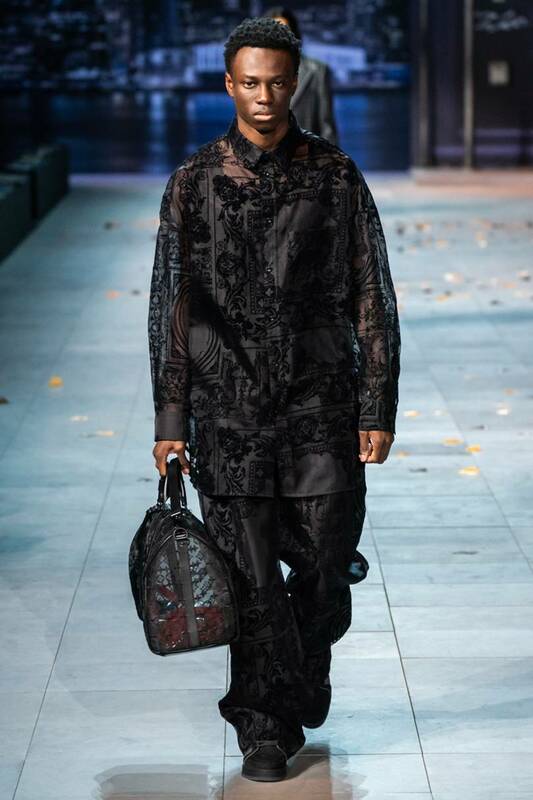 Black on black with a see-through LV carryall.